Hyperbaric oxygen therapy (HBOT) involves breathing 100% oxygen in a sealed chamber. This concentration is 5 times higher than the normal air we breathe. The chamber is also pressurized to create 1.5 to 3 times normal atmospheric pressure. 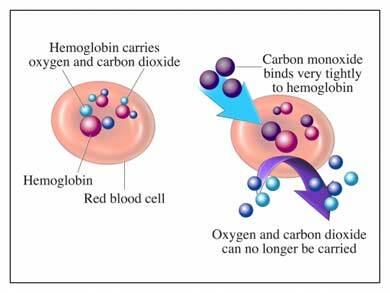 These changes can improve blood circulation and the blood’s ability to deliver oxygen to the body. Bring a book or an activity that you can do in the chamber. You will lie down on a padded table, which slides into a tube. This is called a single-person chamber. In some cases, the chamber may be large, holding more than a dozen people. If your ears pop or you have discomfort, tell the technician. The pressure may be lowered. Swallow or blow with your nose pinched to relieve discomfort. After getting to the right pressure, place a clear plastic hood or mask over your head. This will deliver oxygen to you. If you are at high risk for oxygen toxicity, you may be allowed to breathe regular air for brief periods. Over a period of several minutes, the technician will slowly depressurize the chamber. You will likely have some ear popping and feel light-headed and tired. However, you should be able to go back to your daily activities. You may have more than one session over a period of several days. You will not have any pain. Your ears may feel full. Unless you have another medical condition, you will be able to go home after HBOT. In most cases, there is no special care after treatment. Hyperbaric oxygen therapy: A guide for patients and providers. University of Iowa Health Care website. Available at: https://uihc.org/health-library/hyperbaric-oxygen-therapy-guide-patients-and-providers. Accessed December 21, 2017. Hyperbaric oxygen therapy for wound healing. Johns Hopkins Medicine website. Available at: https://www.hopkinsmedicine.org/healthlibrary/test%5Fprocedures/neurological/hyperbaric%5Foxygen%5Ftherapy%5Ffor%5Fwound%5Fhealing%5F135,44. Accessed December 21, 2017. Recompression therapy. Merck Manual Professional Version website. Available at: http://www.merckmanuals.com/professional/injuries-poisoning/injury-during-diving-or-work-in-compressed-air/recompression-therapy. Updated July 2017. Accessed December 21, 2017.